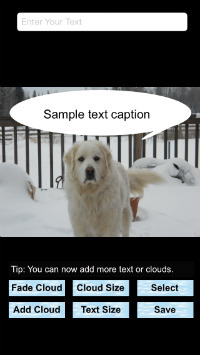 Add your own cloud text captions on top of any photo. 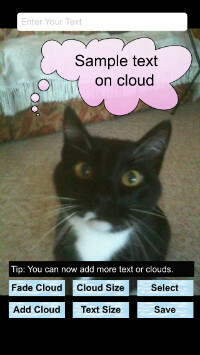 This bubble text or clouds and text can be positioned on any photo, and you then also write text or comments in the clouds that are placed on your photo. You can also write text only if you wish, or tap through various different cloud variations to add. 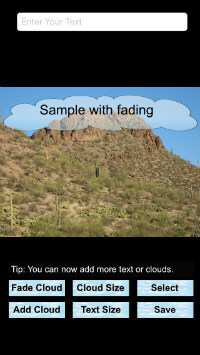 Clouds can be faded and easily positioned by tapping on the photo.